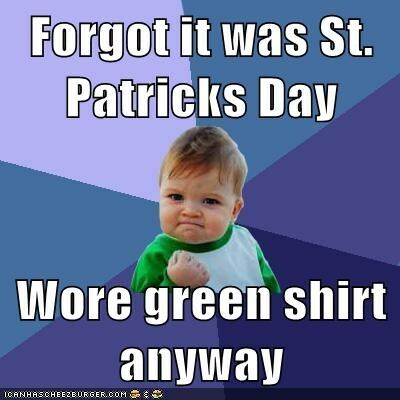 Did you wear green on St. Patrick's Day? Yes or No? I had on green jeans and a mint green shirt with black chucks.